Good public institutions for higher education in India cater to all — poor, middleclass and rich. But for primary education, while the middleclass and rich send their children to private schools (comparatively better), the poor (a majority of our population) have no other option but Government schools which are in a very bad shape. In India, higher education (public) is highly subsidised with the best faculties and best infrastructure whereas primary education is for free but the quality of teachers is sub-standard and physical infrastructure is no better than that for Azam Khan’s buffaloes. While most of the students in colleges are from well-off families and can afford higher fees, most of those in Government primary schools are poor and have no other option. The fundamentals of education and a student’s basic understanding take shape at the primary level. If that is not taken care of, then for a majority of students who cannot afford private school fees, subsidised higher education will be of no help. Hence, this becomes a system where there are schools for all but education for a few privileged people. 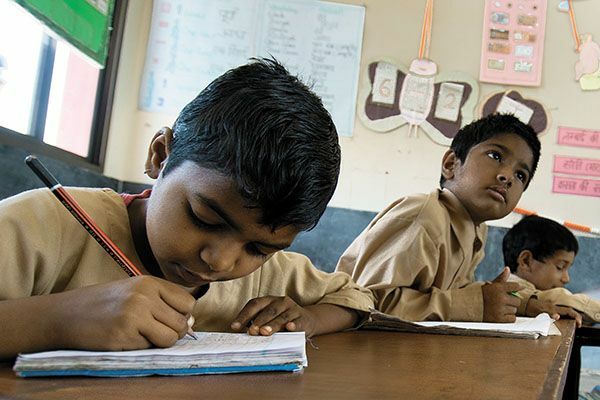 In 1993-1994, the District Primary Education Programme (DPEP) was launched with the aim of achieving the objective of universal primary education. The Government of India launched Sarva Shiksha Abhiyan (operational since 2000-2001) aimed at the universalisation of elementary education. India became one of 135 countries to make education a fundamental right of every child when the Right to Education Act came into force in April 2010. The Act makes education a fundamental right of every child between the ages of 6 and 14. These were all very well-intentioned programmes, but the infrastructure required for their implementation — even after 20 years of the launch of first such programme DPEP — is inadequate. According to 2012-2013 data of Planning Commission, only 40 per cent of primary schools in the country have an electricity connection. 15 States/Union Territories are below the national estimate. 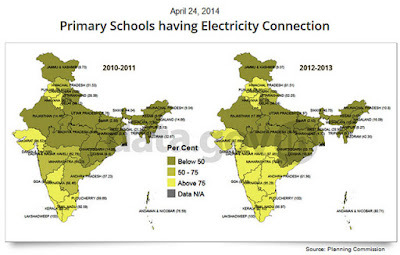 Bihar has the lowest percentage of primary schools having electricity connections at 2.5 per cent. Some of the above may seem like good numbers to have, but what we need to keep in mind is that the aforementioned data includes both Government and private school data. Apart from the inadequate infrastructure, the malaise has its roots much deeper. In Bihar, a recent verification exercise, ordered after a flood of complaints, suggests that forged degrees may have been submitted by over 20,000 of 1.42 lakh teachers-on-contract hired under mass recruitment between 2006 and 2011. Apart from the programmes and schemes launched by the Central Government, every State Government does its part in encouraging parents (mostly poor) to enroll their children in schools. 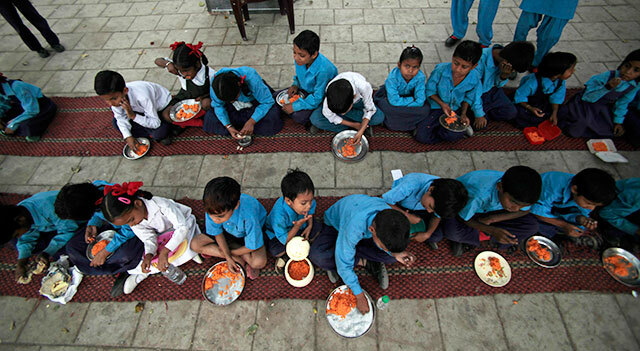 In Bihar, money for uniforms, scholarships and mid-day meals lures parents into enrolling their children but only for the sake of freebies and not for the value that education may add to their children’s lives. According to a Government school teacher from Bihar who spoke to Niti Central, while doles did attract enrolments, it is not motivation enough for parents to send their children to school daily. At the same time, free bicycle scheme for high school girls did encourage parents to send their daughters to schools on a regular basis. The Government needs to promote schemes achieving their objective and keep a proper check on their performance as well as scrap schemes which have failed. Regretfully, vote-bank politics has a role to play here and these doles (whether successful or not) increase during the time of elections. The sorry state of affairs where the Government, instead of playing the benefactor, becomes the beneficiary, has been a great hindrance in revival of education system. Scholarships earlier given to meritorious students are now distributed on the basis of caste — a true reflection of poor policymaking! It is not, as people say, a problem arising purely out of poor implementation. There is no dearth of programmes and funds. Well-intentioned political will with a new set of priorities is the need of the hour if we want to revive the primary education system. Doing so can unleash the true potential of India’s prime resource — its mammoth population.